You could argue that the opening show at Bermondsey’s newest space – a huge warehouse run by homeless charity Crisis – illustrates the ambitions of the improvisational venue. Sculptor Naomi Press, whose training as a dancer has influenced and inspired her, will be exhibiting her work in London this month. 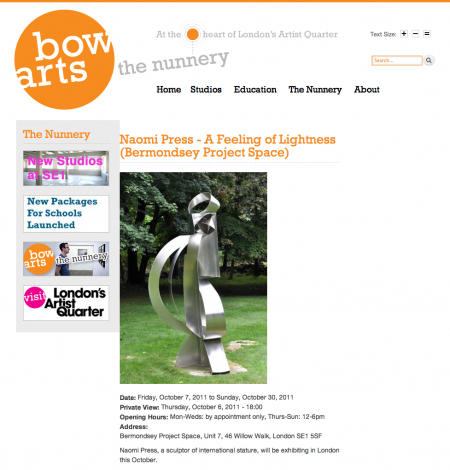 Her show A Feeling of Lightness runs at Bermondsey Project Space from October 7–30. 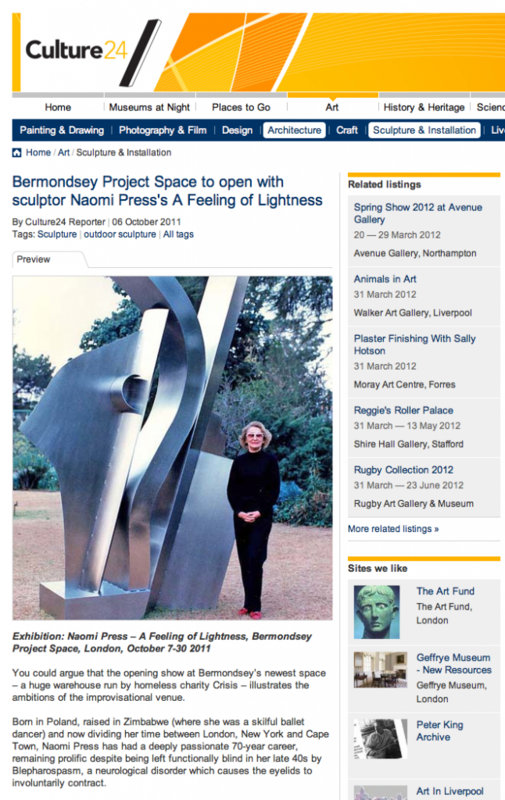 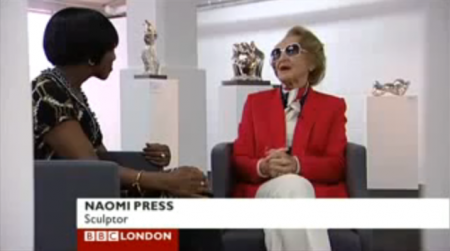 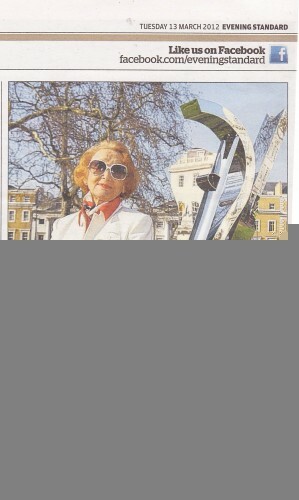 Naomi Press, a sculptor of international stature, will be exhibiting in London this October. 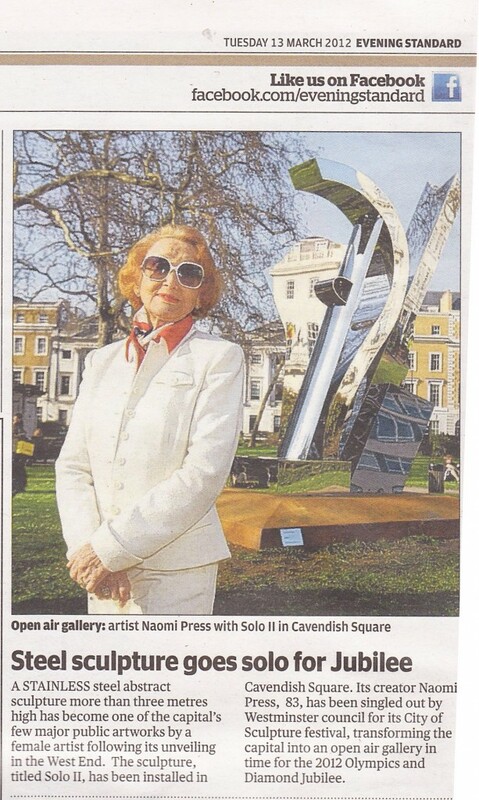 On show will be her stainless steel, brick and silver work. 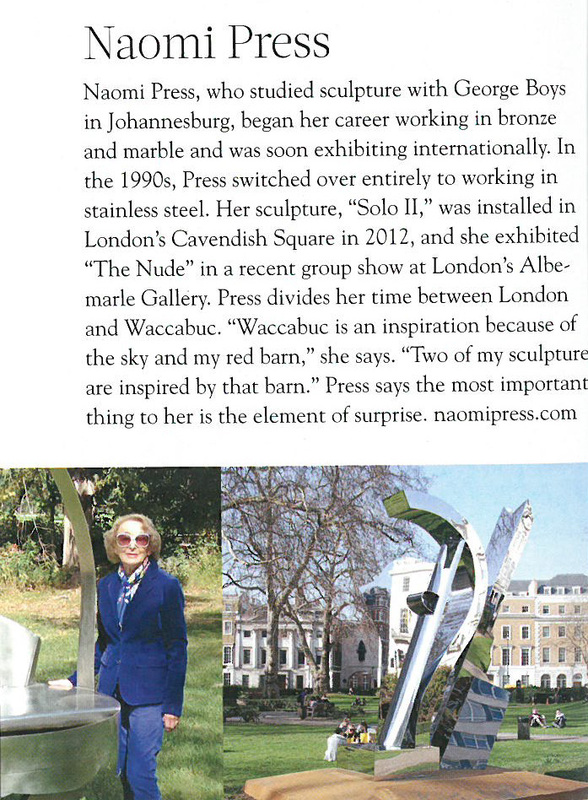 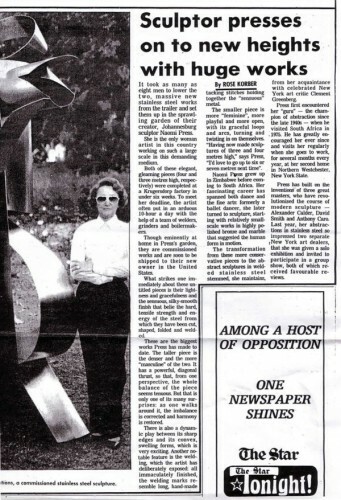 Press’ sculpture, critically acclaimed by Clement Greenberg, has been exhibited in some of New York, Cape Town and Johannesburg’s most prestigious galleries. Her artwork has been placed in a number of public and private collections in the United States, Canada, Great Britain and South Africa.